Teacup Cottage by Thomas Kinkade. Himalayan Royalty by Larry Fanning. 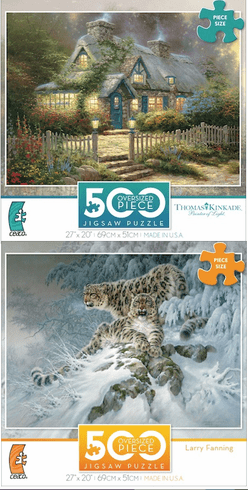 500 Oversized Pieces. Finished Size: 27" x 20"